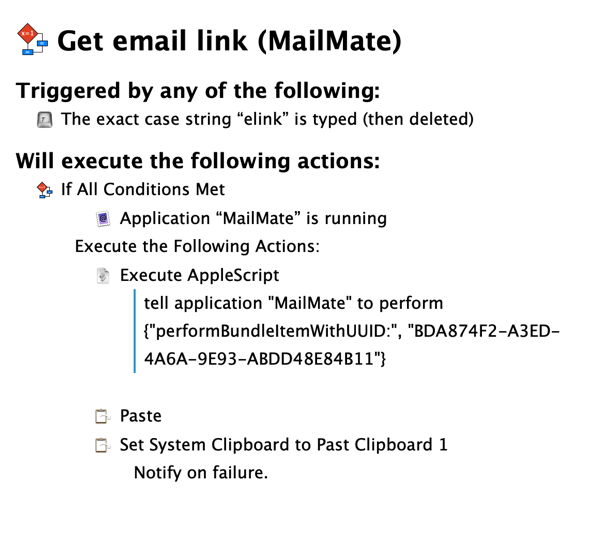 Once you’ve installed it, just type “elink” in any app that can take a URL and you create a link to the currently selected email message. I use it all the time in Notes and Calendar note fields but it really works anywhere. For good measure, the final action restores the prior clipboard contents.